ban.do, the lifestyle brand that's serious about fun, hosted their epic pool party in partnership with The Venue Report last night at The Line Hotel in the heart of Los Angeles. 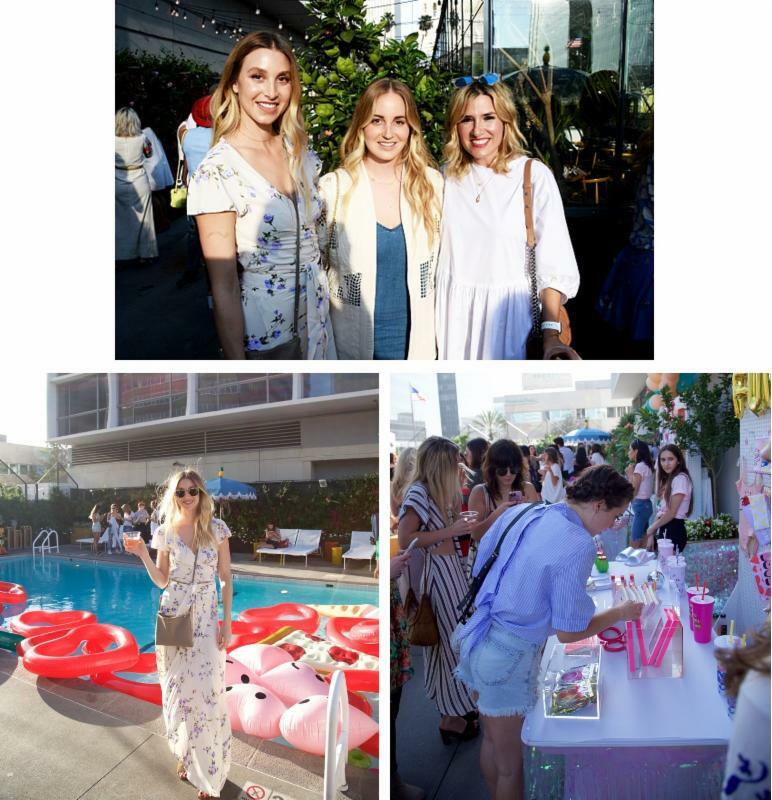 Fashion bloggers, tastemakers, influencers and celebrities such as Whitney Port, Kerri Medders, Niki Koss, Sarah Ramos and Cailee Rae came together to celebrate the brand's popular Outdoor Fun collection and two exclusive dreamy summer collaborations; including a swimwear collection with Cover Swim and signature hydrating mist with Refinery 29. As a brand that never fails to pull all the stops, the party was the most fun, photographable, instagrammable, snapchattable pool party that Los Angeles had ever seen. ban.do and The Venue Report took over the pool at The Line Hotel with lots of pizza from famed chef Roy Choi, fun drinks, and of course a pool filled with inflatables; taking a cue from the brand's most liked Instagram post of all time, the venue was stocked full of inflatable props, both from ban.do's own outdoor fun collection and #girlspopup bestsellers like the rainbow unicorn, pineapple and watermelon. The brand also unveiled a new swimwear line in collaboration with Cover Swim. This two-piece collection will feature a one-piece suit featuring the "Hot Tub Club" Graphic featured on its latest apparel line, and a two-piece suit in Lady of Leisure, a design that has already been incredibly popular with the brand's customer base. It is available to purchase now on www.bando.com and www.coverswim.com, retailing at ($150-200). The collection will also be available to view at Cabana during Miami Swim Week. The brand also showcased a signature summer hydrating mist by Anese Skincare in collaboration with Refinery29. The scent will be available to purchase exclusively through ban.do's online #girlspopup, retailing at ($26). The mist will also be made available to guests of Refinery29's Beach House in Montauk later in the summer. DJ Michael Antonia from the Flashdance provided music for the night and guests took home a drool worthy gift bag which included the Refinery 29 x Anese Skincare Out Of Office Hydrating Mist, Kate Somerville ExfoliKate, a summer make up kit from Stila, Emma Straub's new book Modern Lovers, sunnies from zeroUV, S'well bottle and LOTS of ban.do (duh! ).